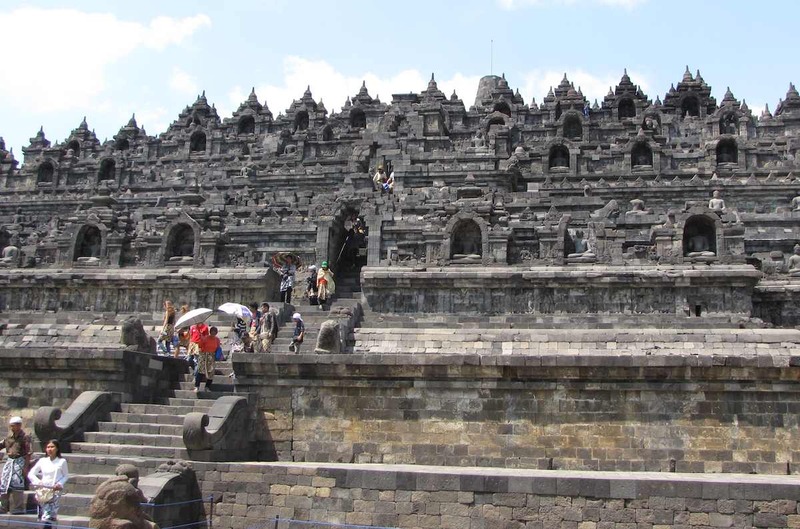 Borobudur is a 9th-century Buddhist temple located in Java, Indonesia. It is located about 45 km from Yogyakarta. See our information page for more photos and a webcast view of Borobudur temple.